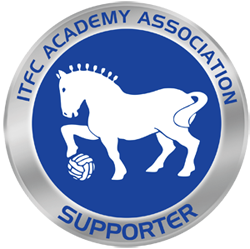 I was offered the chance to run for #TeamITFC in the Great East Run when my employers, Fynn Valley Golf Club, were contacted by the club to see if any of our staff would be interested in helping to raise funds for the academy and their work in the community. Being a keen runner myself I was happy to volunteer my services, I would be running that sort of distance anyway as part of my usual training so was happy for my efforts to put towards a worthy cause that day. Our club members very kindly helped raise the required funds, with some of them already signed up to do the event themselves. The day itself was outstanding, the support lined much of the route, and the start and finish areas were lined with spectators, which certainly aided the sprint finish! It was a fairly warm day, so i was happy to ease off the pace a little and control my effort around the course. My aim for the day was simple, to do a respectable time and not get injured, as my main goal race for the year was the following weekend at the Ironman 70.3 in Weymouth. I got around nice and safely, had a great time and will certainly be back to do the event again next year. Both myself and the club hope the funds we raised will be put to good use both on and off the pitch.